Fans of The Office might be surprised by this one. 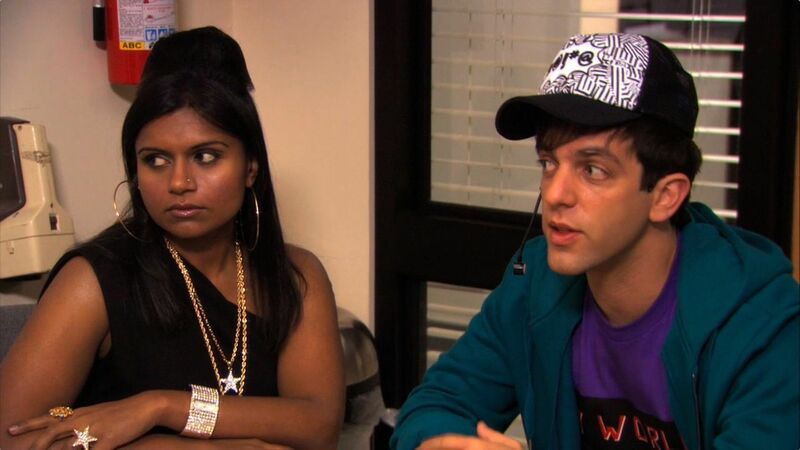 Although Kelly Kapoor and Ryan Howard had a wildly unhealthy relationship from the first time they met on the show, no one ever expected that to lead to actual violence, right? Well, maybe some of us did. In a new interview with Variety, Mindy Kaling said she thinks Kelly and Ryan’s romance may have ended in murder. Say what? When asked if she’d be interested in doing a reboot of the sitcom, Kaling told Variety, “I think that anything [Office creator] Greg Daniels decided to do, I would watch and love and want to help him with.” However, she admitted she wasn’t so certain about how her character, Kelly Kapoor, would factor into a new show. Although an Office reboot doesn’t seem to be in the cards for now, Kaling has plenty of other projects to keep her busy. In addition to being a single mom, she’s also the producer, writer and star of the new film Late Night, also starring Emma Thompson, which is partially based on Kaling’s own experiences being a woman of color in a writer’s room. It will premiere at this year’s Sundance Film Festival.